Tangled and True: letter M designs. 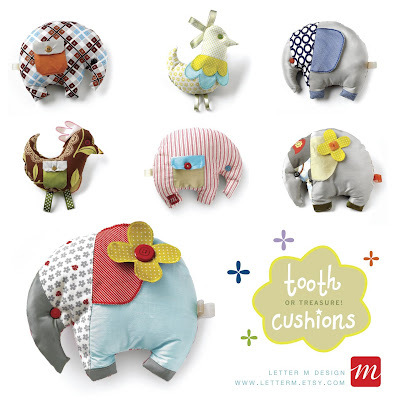 If you haven't come across the new tooth cushions from Letter M Design, allow me to introduce you. They are whimsical and modern with brilliant fabric combinations in all the right colors. Perfect for your baby's nursery, an unexpected gift, or just to tuck your child's surprise in place of their lost tooth. These soft cushions will delight even the harshest of critics. Available to purchase here.